Painting animals, especially pets, can be tricky. Emotional attachments and biases could make a me head off the cliff, falling for the cute and adorable if I'm not careful. So I need to exert some discipline and take a more balanced approach—allowing myself to be swept away by the extraordinary physical presence of my subject on the one hand, while remaining as analytical as possible on the other. 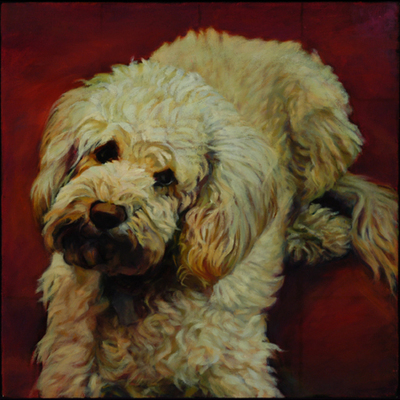 This portfolio includes examples of commissioned pet portraits and paintings I've done of my own family's pets.